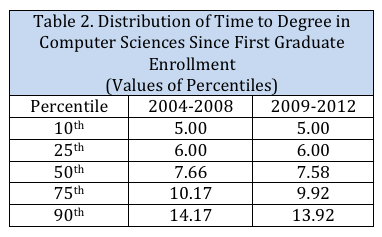 Table 1 compares the median time to Ph.D. for degrees in Computer Sciences1 completed between 2004 - 2012, with time to degree calculated both ways, against the time to degree for other broad fields. 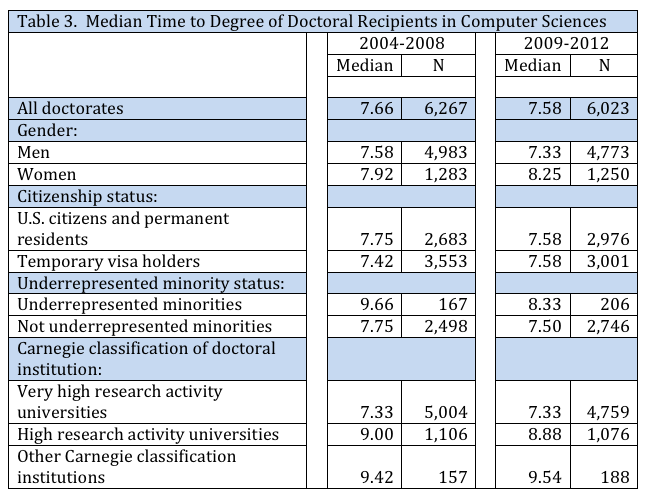 Overall, a PhD in computing takes about 7.6 years from first beginning a graduate program, close to a year longer than a Ph.D. in engineering or in physical sciences (which includes computer sciences). There is some fluctuation in length of time over the years, but no observable trend in computer sciences. Minority status. 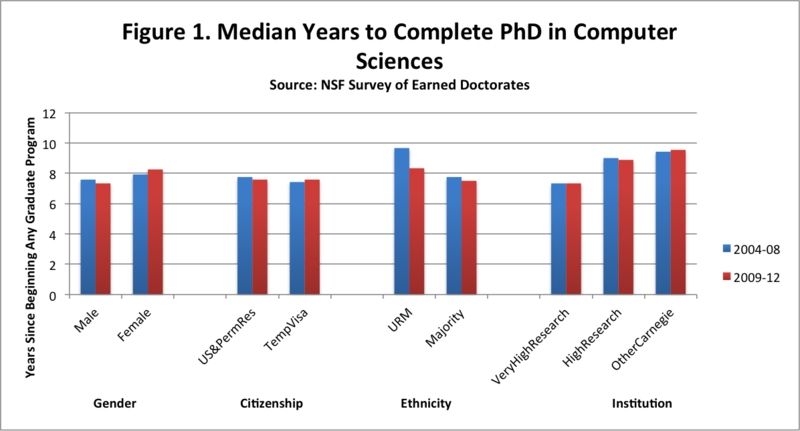 Students from underrepresented minorities (URM) - that is, racial and ethnic groups underrepresented in computing - take longer than majority students to complete a Ph.D.. In the first cohort, the difference is almost two years; in the second cohort it is close to one year.